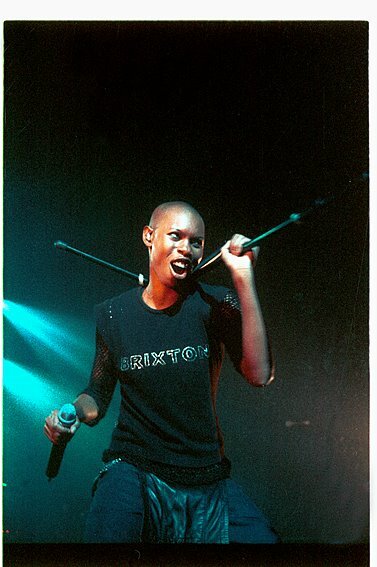 Deborah Dyer ou Skin, vocalista da banda Skunk Anansie. Porto, Portugal a 17 de Abril de 2000. Deborah Dyer or Skin, singer from the band Skunk Anansie. Porto, Portugal at 17 of April of 2000.